Thanks to sonofgod87 for the heads up. Starts around 2:40. IT’S HEROES VS. ALIENS IN THIS EPIC CROSSOVER EVENT — When aliens called the Dominators attack Central City, Barry (Grant Gustin) speeds over to Star City to ask the Green Arrow (guest star Stephen Amell) for help in stopping them. 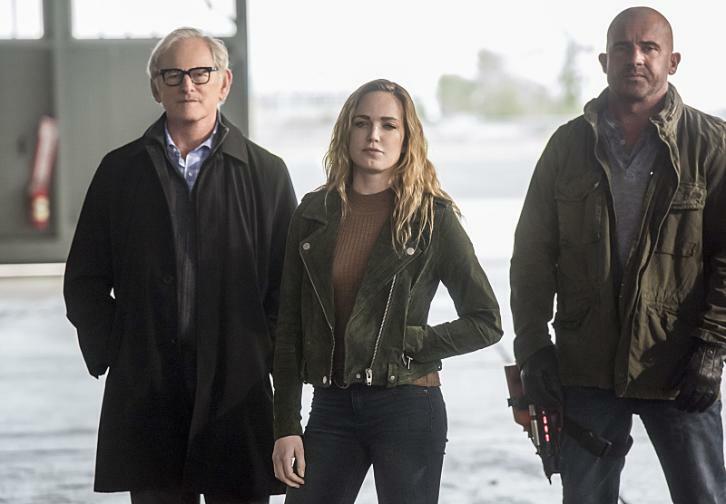 Realizing the battle against the Dominators is bigger than they thought, they track down the Legends of Tomorrow, and Barry and Cisco (Carlos Valdes) create a breach to bring back a secret weapon – Supergirl (guest star Melissa Benoist). Once all of the super friends are assembled, they come up with a plan to attack but a shocking secret related to Flashpoint is revealed and suddenly no one is sure who they can trust. Meanwhile, Wally (Keiynan Lonsdale) wants to join the battle against the aliens but Iris (Candice Patton) tells him he’s not ready. Dermott Downs directed the episode with story by Greg Berlanti & Andrew Kreisberg and teleplay by Aaron Helbing & Todd Helbing (#308). Original airdate 11/29/2016.